Eva is in a monthly pattern of maintenance chemotherapy now. This phase is what we pray will be the final phase of her treatment before she goes to what they appropriately call, “off treatment.” Barring any complications, maintenance chemotherapy will continue until January 2019. The maintenance pattern revolves around a monthly visit for a chemotherapy infusion, but that’s not the only chemotherapy she receives. She also takes a daily chemotherapy pill, plus an additional weekly chemotherapy pill of a different drug. This pattern of long-term treatment is part of the regimen designed to keep leukemia from recurring. But there can be challenges, and for a while it looked as if we might be on a collision course with one. At Eva’s August and September visits her blood work came back good overall, but showed troubling increases in liver enzymes. Without going into all the details, it’s enough to explain that her daily chemotherapy can put a strain on the liver as it does its job of detoxification. Eva’s physicians monitor signs that the liver is either being damaged or is somehow falling too far behind in its job of processing the toxins inherent with chemotherapy. Eva’s August numbers were high enough to get the attention of the physicians. 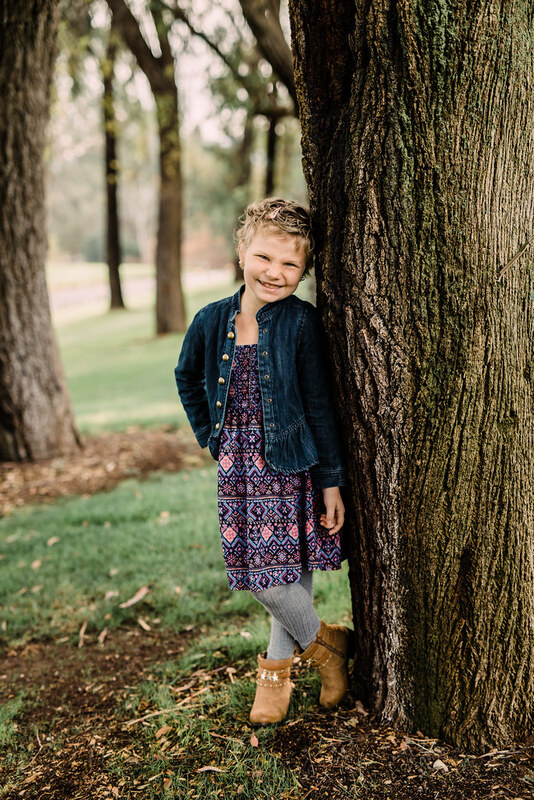 Then Eva’s September numbers increased dramatically—more than 60% along the way toward the upper limit at which point the doctors would order a temporary suspension of her chemotherapy regimen. Needless to say, stopping chemotherapy would decrease the effectiveness of Eva’s treatment. The now-monthly pattern of blood checks meant that the anxiety over how her liver enzymes were progressing was stretched out over weeks, not days. We were anxious for her October visit, which happened to also be on the same day that we were leaving for a much-needed family vacation. Audra and I were bracing ourselves for the possibility that our vacation would kick off with troubling news, but thankfully Eva’s numbers came back much, much better. The most troubling count had dropped significantly, so that now instead of being 60% toward the limit, Eva’s numbers are sitting at about 10% of the limit—a more than manageable figure. That October visit was also another “procedure day,” which is the day she requires anesthesia (a.k.a. “sleepy medicine”) for a spinal chemotherapy injection. This, again, entails fasting the morning of, leaving the house at about 6am, and waiting patiently until procedures begin at 11am, and then waiting patiently until its her turn, then recovering for an hour, then driving all the way back home. Yet Eva did wonderfully the entire visit. She was calm and in control during the “poke” in her port—something we have been working on with her and a child counselor. Even during the administration of the “sleepy medicine” she was far more calm. She acted as if she was bracing herself for a shot, but she did not burst into tears or scream as she had often done in the past. Her handling of the appointment struck me as a moment where I felt both proud and saddened. I was proud of the progress she’s made in emotional health during these tough months, but I was saddened at the thought that she even has to learn how to handle things like port access and intrathecal procedures. We’re fast approaching the one-year anniversary of when Audra first took Eva in to the hospital and that nightmarish November began. Eva’s been at this for a year now, and still has more than a year left. This Sunday at my congregation we’re considering the Reformation theme, “Christ Alone.” Of course, one important aspect of that Reformation truth now proclaimed in the Lutheran church is that we have nothing to offer God that could possibly bring us closer to peace with him. There’s no point in us that can serve as the spiritual fulcrum of a lever meant to lift us higher. It is on account of Christ alone that we can approach God in repentance and faith and produce the fruits of peace and love. But another aspect of “Christ Alone” has become clearer to me in the past year. When it comes to finding strength in the face of suffering, it is Christ alone who offers it. The death and resurrection of Jesus Christ is unique in all the world’s ideas and events. In Jesus we have more than a God who is powerful but aloof, on the contrary, we have a Lord who himself met us in our suffering so that by his death he could heal us who were doomed to death. He’s been where every sufferer has been—and beyond, so that one day for all who believe in him the days of suffering will be over. Wonderful faith-filled update and message. Thank you for writing it. Life is a journey taken one step at a time. We praise God that Eva is able to move forward. Great results and may God continue to give her strength and fortitude in the coming months – as well as improved health!